MIAMI (March 12, 2018) – On Thursday, February 22, 2018, South Florida Business Journal presented the 2018 Best Places to Work Awards, a program that celebrates excellence and employee satisfaction in the workplace. We are thrilled to announce that The Revenue Optimization Companies (T-ROC), received the 3rd place award in the Large Company category. Awards were presented in three categories, Small (10 to 49 employees), Medium (50 to 99 employees) and Large (100 + employees) in a countdown format to the number one ranked company in each category. Each honoree company was presented with a custom plaque and invited up onto stage for photos. All honoree companies were notified in December and rankings were announced at the awards luncheon. The four companies under the T-ROC umbrella provide a unique combination of solutions. These solutions can be used independently but are most effective when used together. All of T-ROC’s solutions are designed to increase sales and reduce costs through the power of people and technology. The Revenue Optimization Companies (T-ROC) is home to four sales solutions companies that enable clients to fulfill all of their sales performance needs. The Retail Outsource (TRO): an in and out of store sales performance management company; Mobile Insight (MI): real-time field reporting and business intelligence; The Consumer Insight (TCI): full-service customer experience analysis; and SYMBITS: managed IT services. Working in synergy, these four companies form a complete ecosystem for running, managing, and maximizing the productivity of institutional efforts. To learn more about T-ROC and its subsidiaries, visit www.trocglobal.com. 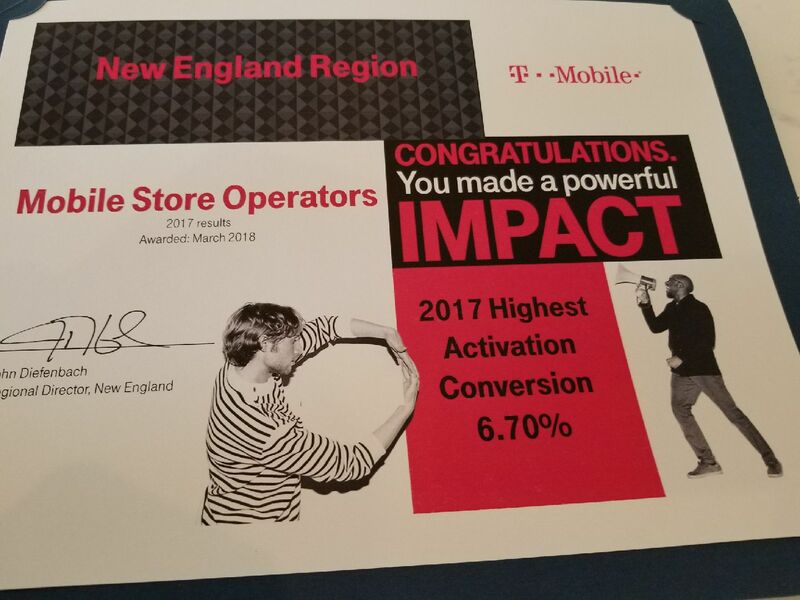 MIAMI–(BUSINESS WIRE)–Mobile Store Operators (MSO), a division of The Revenue Optimization Companies (T-ROC), is thrilled to announce it was chosen as the #1 Ranked T-Mobile Premiere Dealer in the U.S. for 2017. MSO was selected from 50 premiere dealers representing over 2,000 retail stores. The T-ROC MSO division has grown from 40 to 85 locations in just seven months, maintaining highest standards for sales and overall operational excellence. MSO and its executives, including CEO Brett Beveridge, were recognized by T-Mobile in Dallas, TX on Thursday, March 1, where the awards were announced. In 2017, MSO more than doubled its T-Mobile locations across the country, making a record year of expansion with excellence in customer service, products and outstanding team members. MSO attracts, hires and retains only the best customer service advocates ensuring that customers have accessible bilingual experts to address all of their wireless communications needs. Team members are committed to addressing customers’ total wireless needs for both business operations and at home. To learn more about MSO, visit www.mobilestoreoperators.com. To learn more about T-ROC, visit www.trocglobal.com or follow on Facebook, Twitter and LinkedIn. Mobile Store Operators is a corporation that owns and operates T-Mobile stores across the country. The award-winning company provides its customers with top-notch service, sales relations, and ongoing support for all of their wireless needs. MSO is a division of The Revenue Optimization Companies. To learn more about MSO, visit www.mobilestoreoperators.com. T-ROC, a supplier of third-party retail services, wants to bring its solutions to the under-utilized smart-home security category. Founded in 2007 by Brett Beveridge, T-ROC (The Revenue Optimization Companies) encompasses four separate entities under its umbrella of services. Its Consumer Insight division provides mystery shopping and large-scale programs that need to be completed in a short period of time. For example, if the new version of a smartphone is launching, this division and its 15,000-worker network will visit 10,000 pints of distribution to reset displays and ensure the device is ready for representation. Current and past clients include Jabra, Comcast, Cricket and Belkin. Mobile Insight, meanwhile, is a software company that aids retailers with lead generation and employee tracking, while Symbits serves as IT support for small and medium retailers. The fourth entity, the Retail Outsource, is the T-ROC business that aids retailers with everything from consulting and design, to store management and operation. It operates stores within stores, with 200 wireless kiosks in Walmart among its most high-profile gigs. Other past and present clients also include Apple, Macy’s, AT&T, T-Mobile and others. Also on tap as part of T-ROC’s growth strategy is a white-glove concierge screen-repair service for cellphones and tablets. Hoping to bring the profile of screen repair up a notch, the Retail Outsource will make house or business calls or even visit students at school. Pricing for a fix will range from $79 to $279, depending upon the phone model, and it will also repair batteries, camera lenses, charging and microphone ports, water damage and other issues. The new services are slated to launch this month. T-ROC, which likes to refer to itself as the “best-kept secret for end-to-end retail enablement,” is expanding its service offerings to include the entire breadth of consumer electronics. The company offers a spread of services as a retail outsourcer. Its Consumer Insight division provides focus groups and mystery shopping, while its Mobile Insight software division aids sellers with lead generation and employee tracking. It’s also able to help retailers with everything from consulting and design to store management and operation — including operating stores within stores. Past and present clients include Walmart, Apple, Macy’s, AT&T, T-Mobile and others. T-ROC has a presence in all 50 states and Puerto Rico, with 4,800 W2 employees and a contingent workforce of over 15,000. As part of its CE expansion, the company has brought on Laura Sorgenfrei as chief marketing officer, a new position for the company. Sorgenfrei will be tasked with leading the company in addressing the pain points of CE retailers and manufacturers, said T-ROC president/CEO Brett Beveridge in a recent call with TWICE, as well as how the company can develop products to address these issues. Sorgenfrei has over two decades of industry experience, including product-launch experience and creating ROI program models. She helped launch retail in-store programs for such companies as Roku, Oculus, Beats by Dre, Parrot, Fossil and Nest, among others. Last year T-ROC announced it was entering smart-home retail services, and has spent the last 12 months securing agreements with providers. The official launch date for the service is likely to be sometime this quarter, Beveridge said. Miami was an Amazon HQ2 finalist, but what comes next? T-ROC umbrella provide a unique combination of solutions. These solutions can be used independently, but are most effective when used together. All of our solutions are designed to increase sales and reduce costs through the power of people and technology.